I find starting new projects to be very difficult. Most times I end up with several false starts before making any progress. Chances are this blog would have gone through at least three false starts before ending up in Andre’s inbox (Andre is one of the Smithsonian’s Science Education Center Curriculum Developer and my supervisor). This used to annoy me. Somedays it still does, especially when I have deadlines to make. But, I have learned that false starts are all a part of the process. Thankfully I have found a very useful technique to help minimize false starts–brainstorming. One of the best parts of my joint internship with J. Craig Venter (JCVI) and the Smithsonian Science Education Center (SSEC) is the hands-on learning experience I’m getting at JCVI. So far, I’ve learned several basic laboratory skills like volumetric measurements, proper use of balances including selecting the correct balance, record keeping using a lab notebook, and the ever-important laboratory safety and aseptic techniques. My name is Francine Baker. I am a recent Public Health Science graduate from the University of Maryland, College Park School of Public Health. Currently, I am a joint intern at the Smithsonian Science Education Center (SSEC) and J. Craig Venter Institute (JCVI). SSEC is part of the Smithsonian Institution in Washington D.C., which focuses on reforming science education for preK-12 throughout the nation and the world. JCVI is a genomics-focused biological science research facility with laboratories in Rockville, MD and LaJolla, CA. 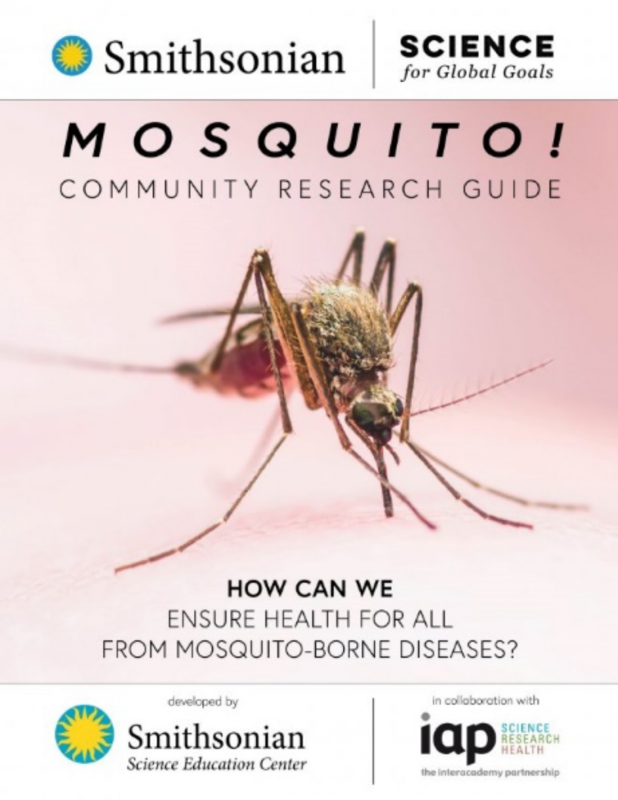 This unique joint internship is a collaboration between both facilities to build upon the SSEC’s upcoming “Mosquito!” Curriculum module, free for all educators and youth ages 7-18, using real time data collection and feedback from scientists conducting mosquito related research at JCVI.